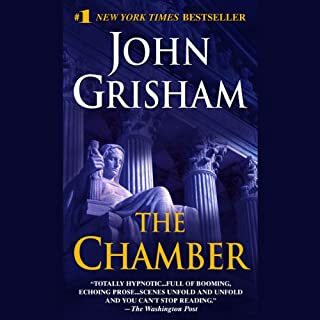 A startling and original courtroom drama from New York Times best seller John Grisham that is the prequel to his newest legal thriller, The Whistler. A judge's first murder trial. A defense attorney in over his head. A prosecutor out for blood and glory. The accused, who is possibly innocent. And the killer, who may have just committed the perfect crime. In a departure from the legal thriller genre, John Grisham's latest novel draws inspiration from his own rural childhood in Arkansas. Listen and enjoy this moving tale about a 7-year-old boy and the dose of reality that comes, one autumn during the harvest, to take away his innocence. Also available abridged. Michael was in a hurry. He was scrambling up the ladder at Drake & Sweeney, a giant D.C. firm with 800 lawyers. The money was good and getting better; a partnership was three years away. He was a rising star with no time to waste, no time to stop, no time to toss a few coins into the cups of panhandlers. No time for a conscience. But a violent encounter with a homeless man stopped him cold. Michael survived; his assailant did not. Who was this man? Michael did some digging, and learned that he was a mentally ill veteran who'd been in and out of shelters for many years. Then Michael dug a little deeper, and found a dirty secret, and the secret involved Drake & Sweeney. The fast track derailed; the ladder collapsed. Michael bolted from the firm and took a top-secret file with him. He landed in the streets, an advocate for the homeless, a street lawyer. And a thief. ©1998 Belfry Holdings, Inc. (P)1998 Bantam Doubleday Dell Audio Publishing, Bantam Doubleday Dell Audio Publishing, A Division of Random House Inc. This is a good Grisham novel. It has substance. It primarily deals with the subject of homelessness and how the poor are viewed by the society at large, particularly how big business holds money as more important than the lives of homeless women and children. 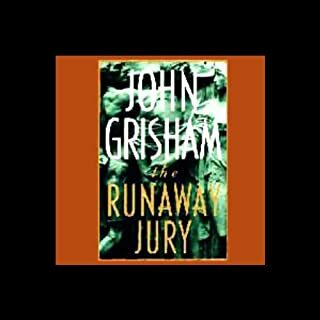 Grisham handles the subject in a sensitive yet entertaining way. 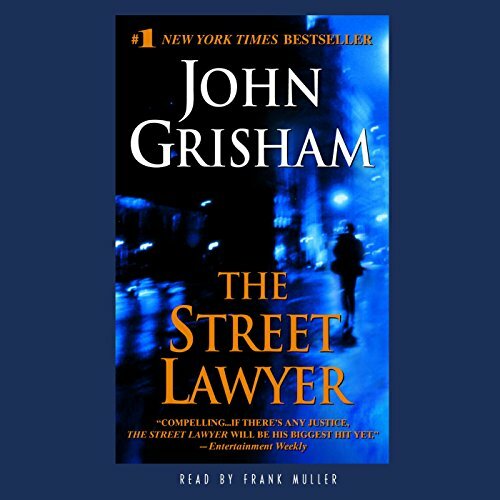 Where does The Street Lawyer rank among all the audiobooks you’ve listened to so far? In true Grisham fashion, it kept you guessing until the end. I had an idea how it would end, but there was an extra little twist! Grisham writes so well about lawyers and their cases, and this one is no different. A rich and accurate portrayal of life on the street, the main character actually tries to help. I would highly recommend this book. 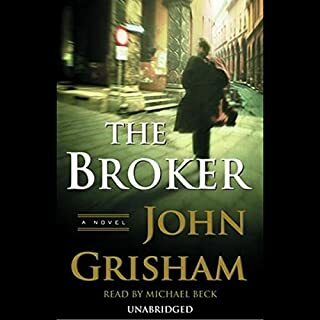 Would you try another book from John Grisham and/or Frank Muller? 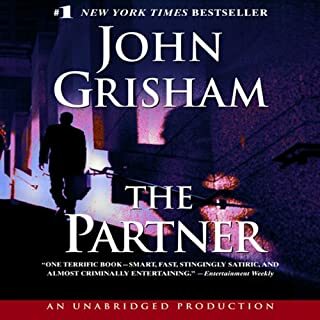 I have been a big fan of John Grisham for many years and recently started listening to audible books so I was excited to hear a story I had somehow missed. I had not heard Frank Muller before and although for the most part I found his speaking style alright, I was a little put off by the over-affected accents he gave the characters. As for the story, I can emphatically say that I will not make the same mistake of downloading only one story at a time as I was stuck with no music, no radio, no wireless and no other options on a very long cross country drive with nothing but this book ... so I kept listening hoping it would improve ... no such luck. The book starts out with a bang (literally a gunshot) that changes the main character's life forever and not just temporarily as everyone and perhaps himself hope. 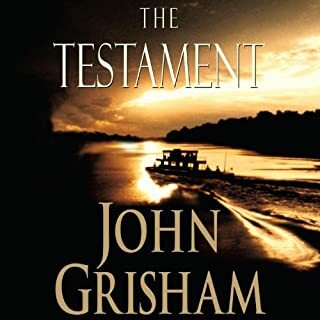 And although I suppose I am supposed to feel empathy for the characters and the plight of those he is trying to help, I instead just felt like the author was trying to beat me over the head with his repetitive refrains to help the poor. Don't get me wrong, I understand the issues of the homeless, the poor, the mentally challenged, the legal system and how it is biased against those that suffer but the main character gives up all worldly possessions and donates both them and all of his legal talents to helping others. A worthy cause I am sure all of you would agree but instead this book just serves up a monochrome character who is ultimately smug and morally superior to all of those who only donate, oh let's say, just half of their worldly possessions and talent/time. What aspect of Frank Muller’s performance would you have changed? An accent is meant to convey a personality but that can be a double edged sword as I could not get the thought of a southern black baptist preacher/mentor/lawyer to northern white wasp lawyer/idealist out of my head based merely on the accents. Not sure that I like the characters being pigeon-holed for me by the narrator. Then again this is only Frank Muller story I have listed to so I will listen to another and then decide how I like Mr. Muller's style of speaking. Riviting, Spellbinding. Affects your social concience. Great book with great narration! This was the first audiobook I bought with my first credit and I loved it. 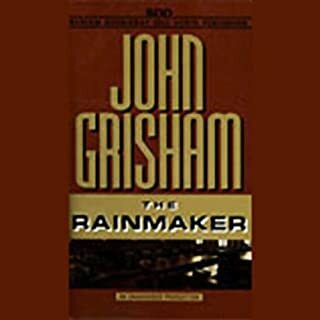 Grisham could develop characters when he wrote this book. I don't like his more recent work as much. I think this book and The Testement are his best. You really got to know the characters in this book like Michael Brock, Mordicai Green, and even Mister. Grisham also put you right into a winter in D.C. And Frank Muller was masterful! Have you listened to any of Frank Muller?? ?s other performances before? How does this one compare? Frank Muller is one of my very favorites. A lot of people say he's "breathy" but that's him and it makes it good. I usually listen to it every winter. It listens better in the cold. I thought the story was rather boring and predictable. I almost gave up on it because it was dragging and almost never have that problem witb Grisham's books. I loved it. I only wish it was real and firms had this type of conscience. A well written tale of the big city and the problems that lie within, A look into the mind of driven man with a concious that changes his life and may yours as well.